The teaching for Years One and Two usually take place at Portland Square, situated on the main campus, and at our clinical Dental Education in Plymouth Devonport and Derriford. As a dental student the full range of University facilities are available to you, including the Library, Students’ Union, and Student Medical Centre. The Clinical Dentistry modules during your third and fourth years will take place at the clinical facilities in Truro, Plymouth Devonport and in Plymouth Derriford, plus in Exeter Heavitree for Year Five. These specifically designed facilities will meet all your needs as a dental student and are integrated with local NHS dental care provision, to allow you to gain experience of both routine and specialist dental care. In year 5 you will have the opportunity to work in our Exeter facility in a simulated general practice clinic, “Dental Practice Experience”. Here you will be encouraged to enhance your independent clinical decision making and treatment skills, working with a qualified nurse in an authentic environment. Situated on the main University campus, a five minute walk from the city centre and the sea. The Devonport Dental Education Facility is located close to the city centre on the ‘Devonport Health Campus'. The Dental Education Facility is located on the Tamar Science Park next to Derriford Hospital. A short walk from Exeter city centre, the Royal Devon and Exeter Heavitree Hospital has a Dental Education Facility with sixteen student chairs and integrated teaching facilities. In Year 5 you will participate in practice experience where you will be working in a Simulated Dental Practice Environment helping the transition from being a dental student to preparing you for your Dental Foundation Year 1 (DF1). The Truro Dental Education Facility is located in the Knowledge Spa, a substantial joint educational facility with the University’s Faculty of Health, Education and Society, situated in the grounds of the Royal Cornwall Hospital. 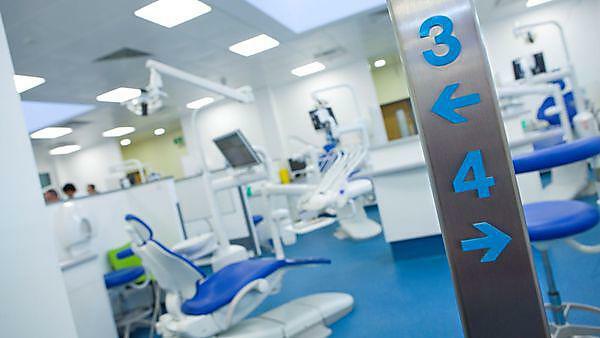 The Dental Education Facility houses thirty-two chairs, a dental technical laboratory and an in-house decontamination unit, Clinical Skills and Life Sciences Resource Centres, and a Simulated Dental Learning Environment for use by students and the local dental profession. You are expected to make appropriate arrangements for any existing domestic responsibilities for the compulsory element of the programme delivered in Truro. Working in the Truro clinical facility enables you to further develop skills using more complicated dental techniques. You will also experience a wide range of medicine in dentistry opportunities in the Royal Cornwall Hospital with NHS colleagues.